Mullets never go out of style! ^I'm game for a meet up. PM me when you and anybody else want to go. 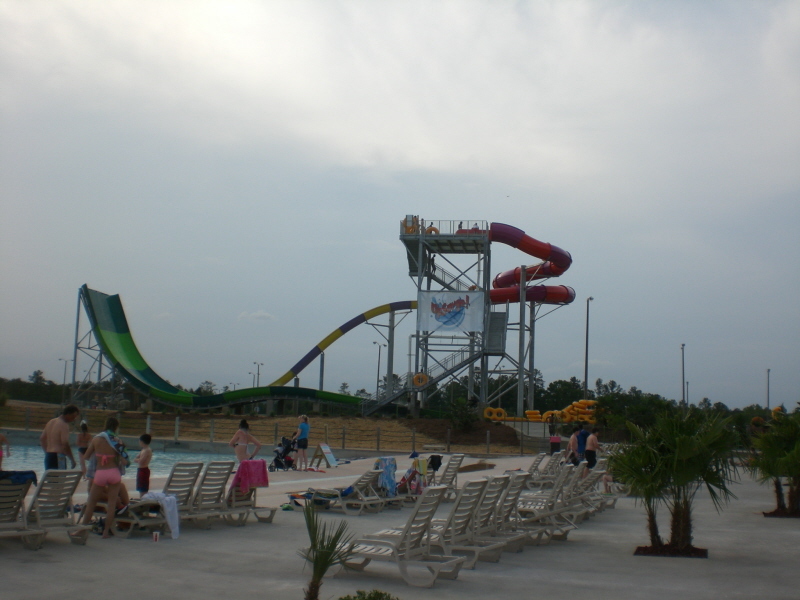 Had a good time there last year and would love to hit Splash Beach. I need a bowlslide credit. 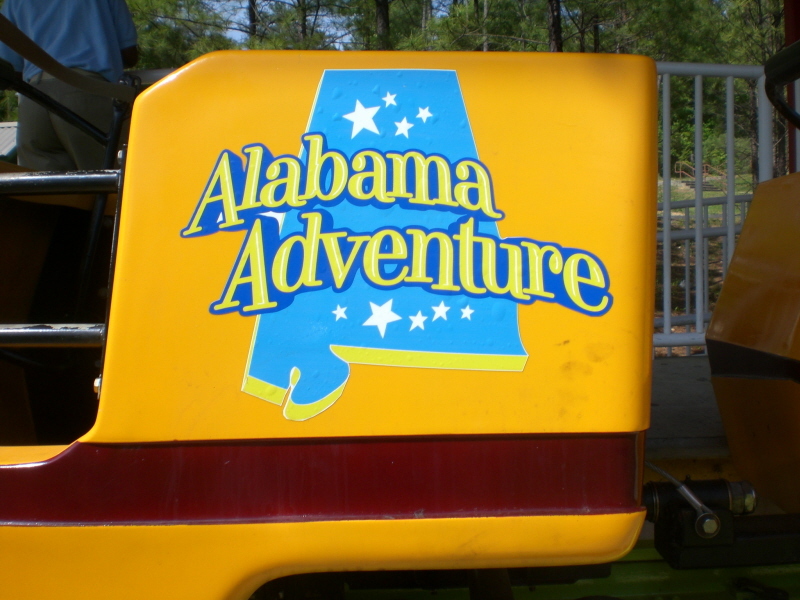 As many of you know Alabama Adventure, home of the CCI creation Rampage, was purchased by new owners mid way through last season. 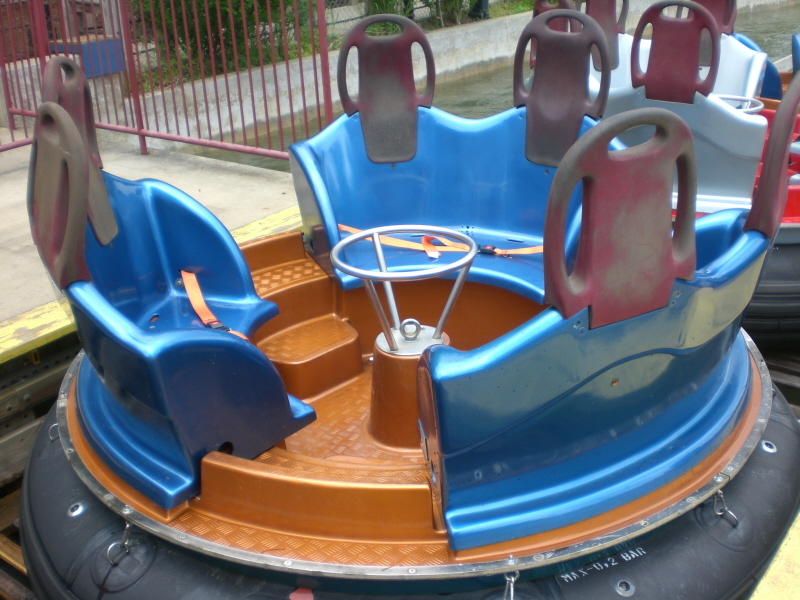 You probably also know the park has not always received the greatest reviews from coaster enthusiasts (see here) for many different reason, many because of things the park did to itself. 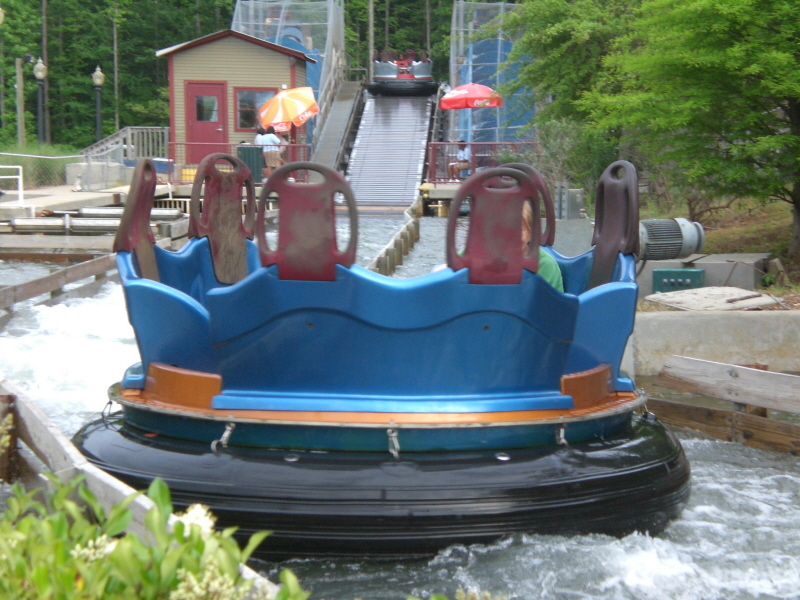 Well 2009 has brought many changes to the park! Some will be viewed as good, some might consider the changes bad. Place me in the former category. IMO, the park looks and is being run as best as it ever has. 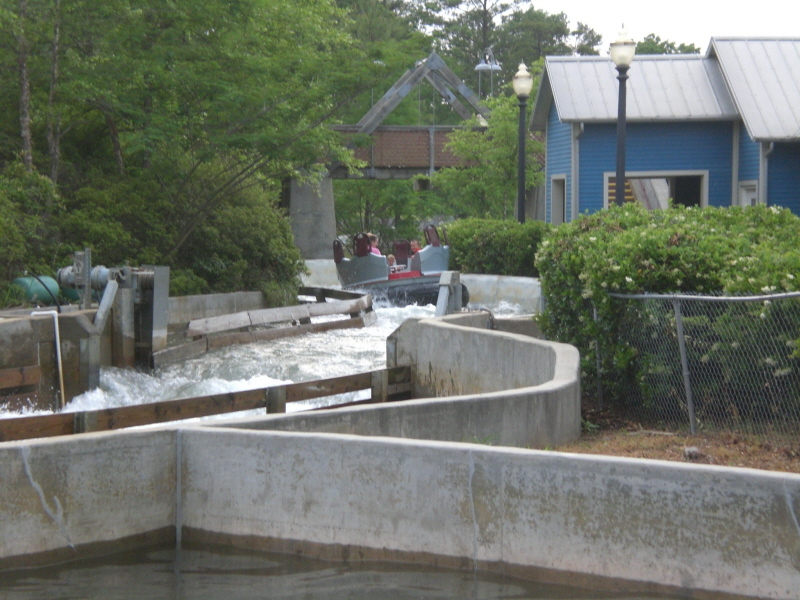 Lots of things have been done this season and I would like to document some of these changes for you, as well as giving you TPRers that might be visiting the park for the first time on the Deep South Trip a little preview if you will. Please note these photos have been taken over the course of the entire season, some during the day, some at night, and some in between. I am going to try and post them in an order that will make sense of it so they won't exactly be in chronological order. Enjoy! The front gate area has received some fresh paint this season and some nice new signs informing guests of the park's rules. 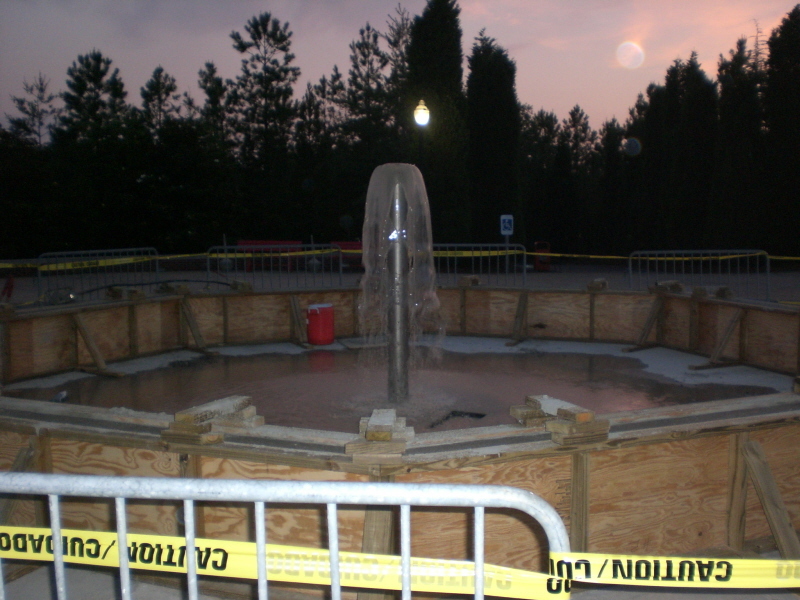 Here is the "new" fountain testing after close one night. The park is continuing to fine tune things so it might be a little while before it looks "perfect." 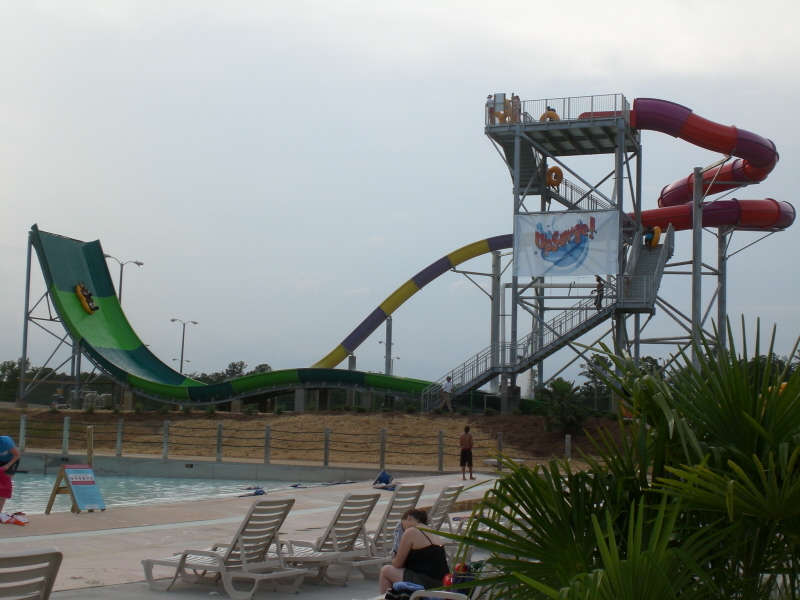 The big change this season is the new water slide UpSurge! 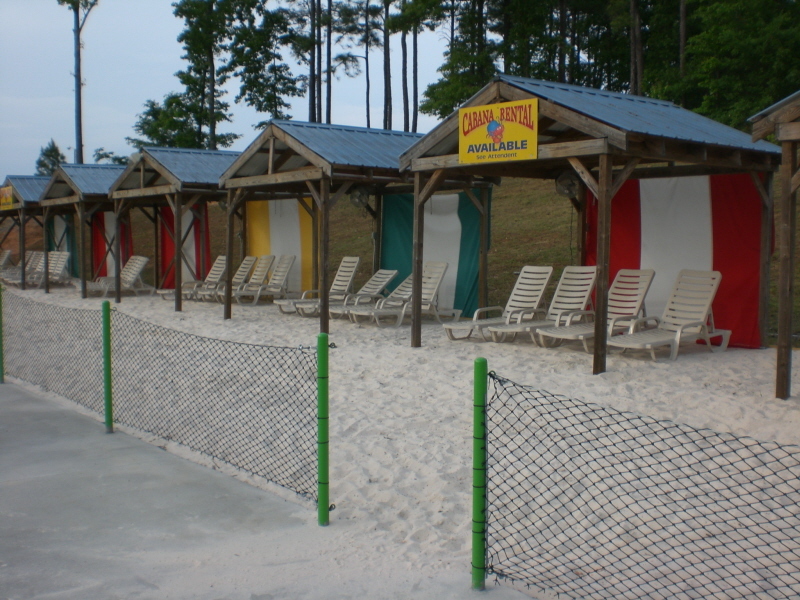 One change some might view as "bad" was the removal of the sand beach at the wave pool. 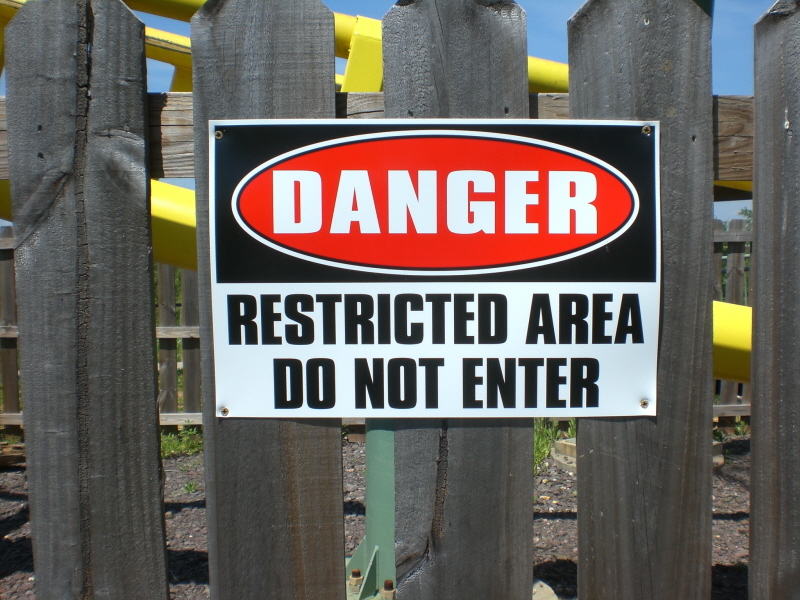 This was done because you have to walk through that area to get to UpSurge! This is all that remains of the beach. 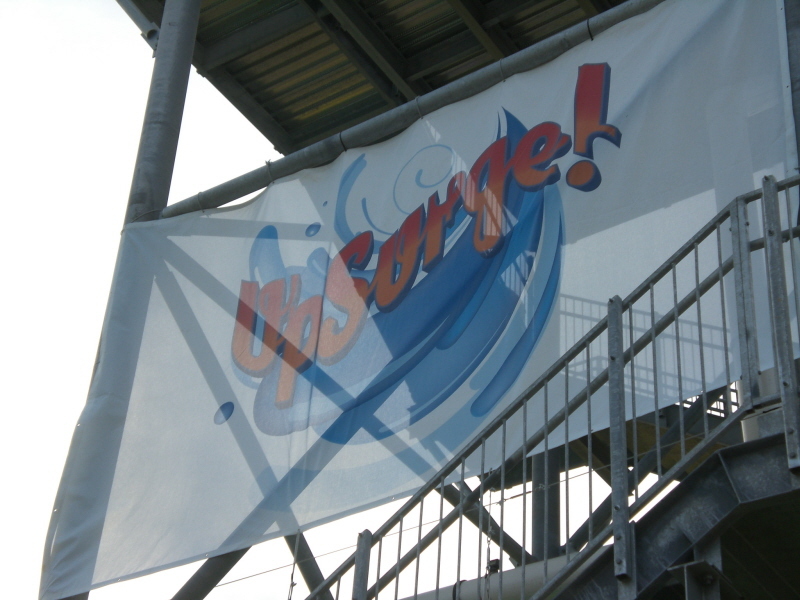 UpSurge! 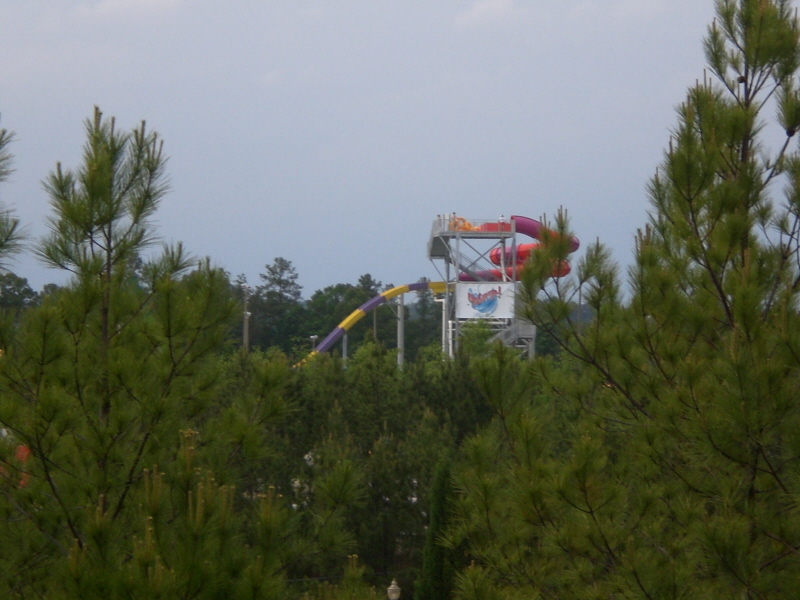 is a Boomerango from White Water West. 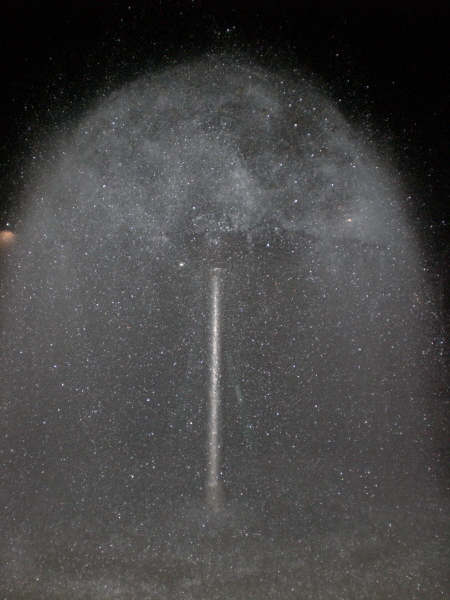 Then over a small hill and through a water curtain into the splash pool. 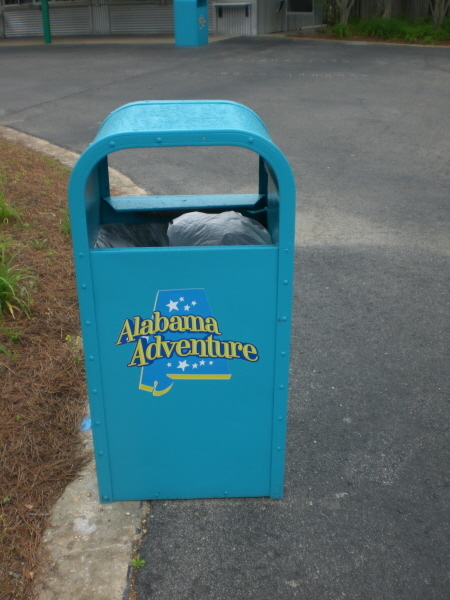 Another thing the park did was repaint many of the trash cans (teal, orange, green, etc.) 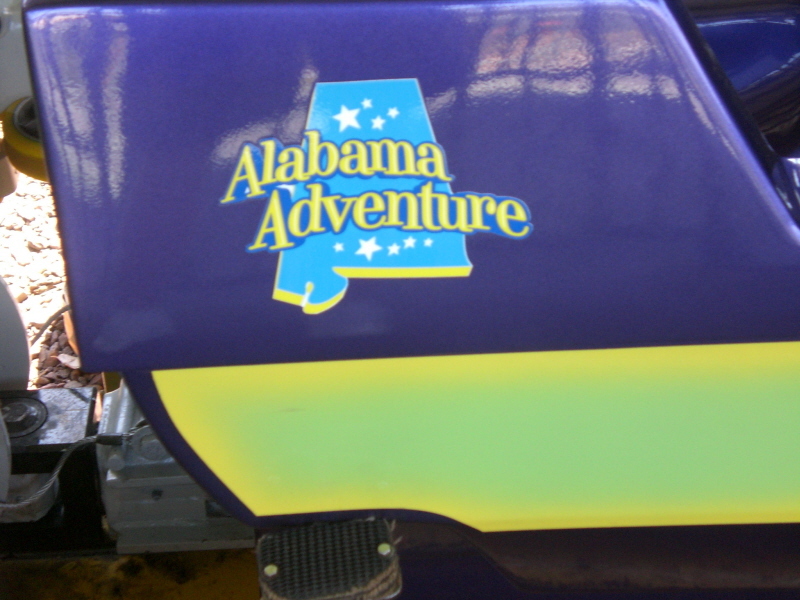 and add park logos to them to help the park look cleaner. 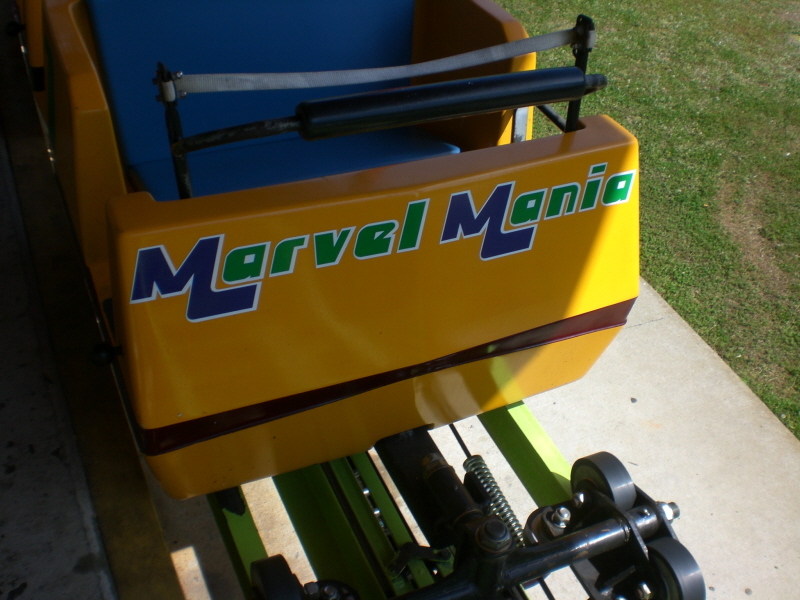 Marvel Mania also received a new paint scheme! 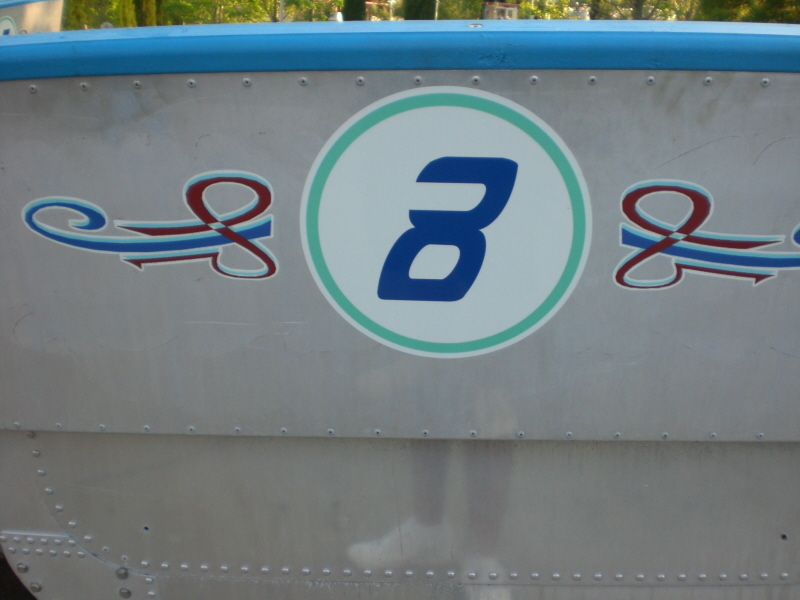 ...as well as park logos on the train. 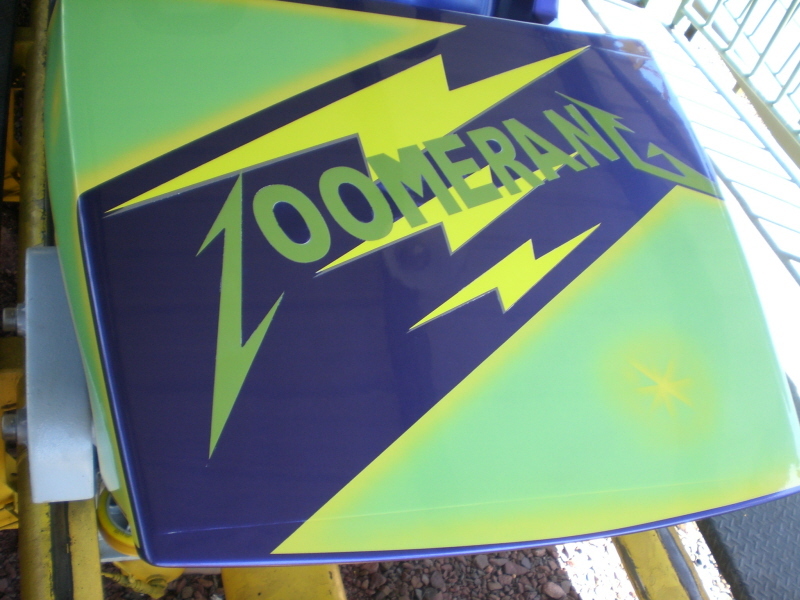 Zoomerang's train also received a new paint job! ...and yes even more park logo decals! 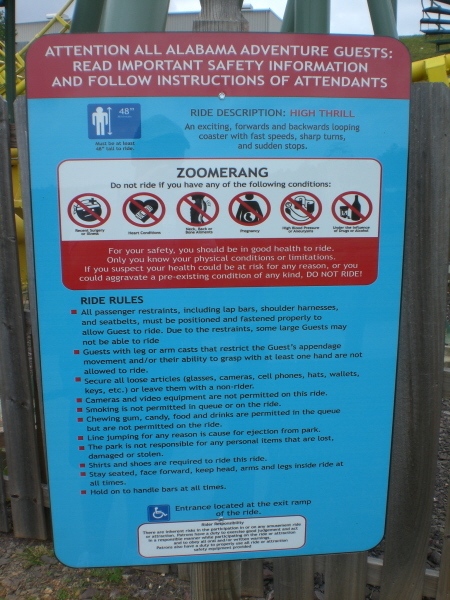 All of the rides also received new safety signs. 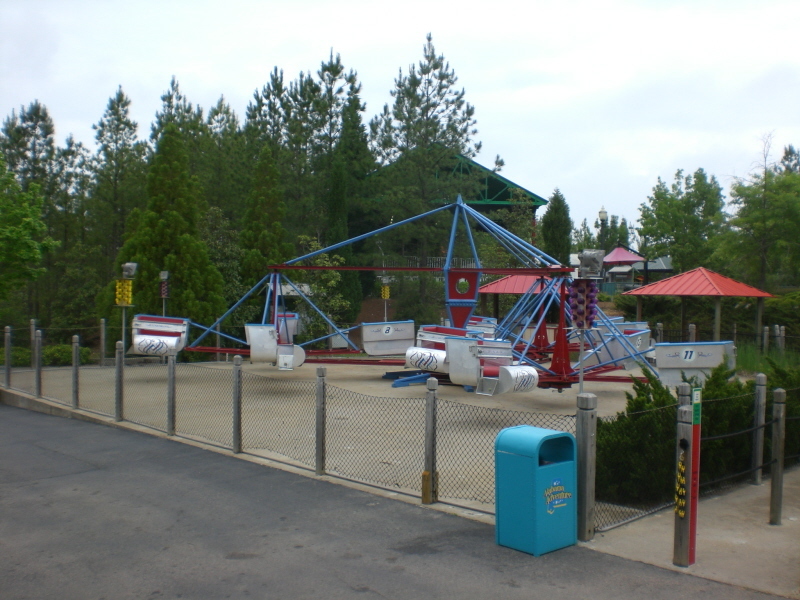 Here is the one for Zoomerang. 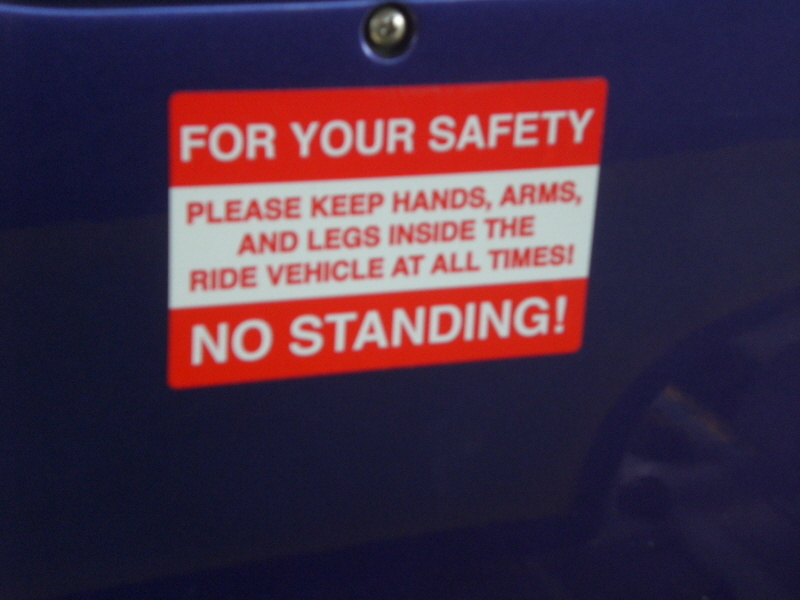 Unfortunately, the park also had to add a TON of these signs as well after last summer's events at SFOG. The park almost doubled the smoking areas in the park. 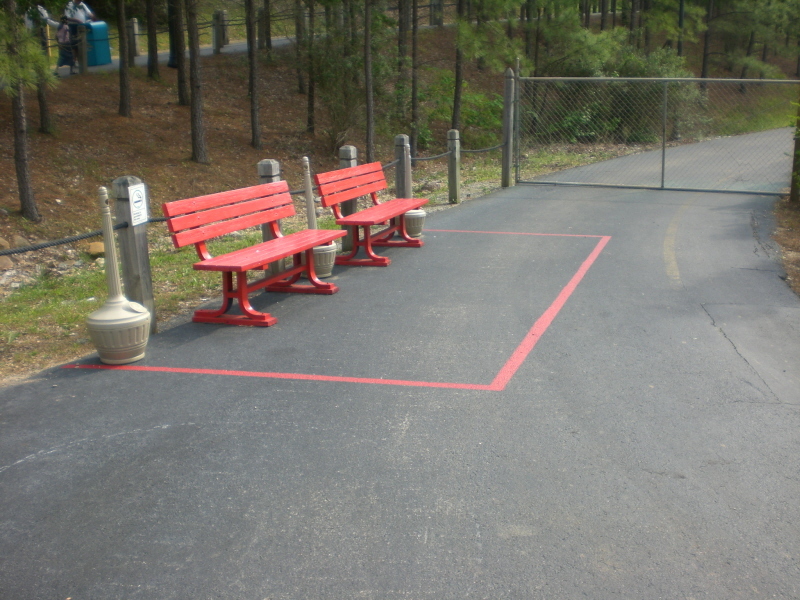 They are clearly marked with red lines and red benches. 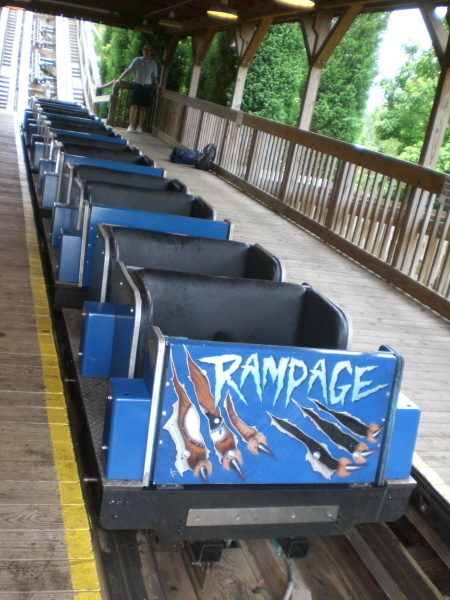 Here is the one by Rampage. 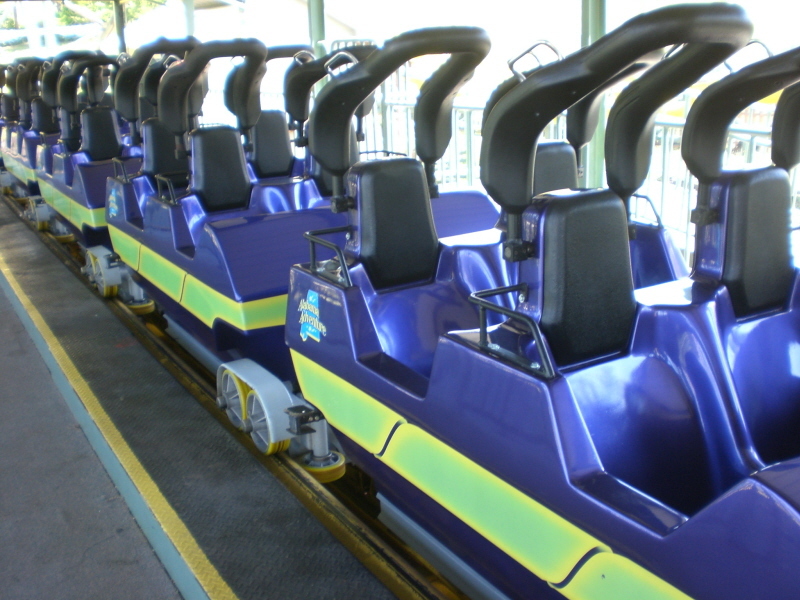 There were 8 areas on opening day. 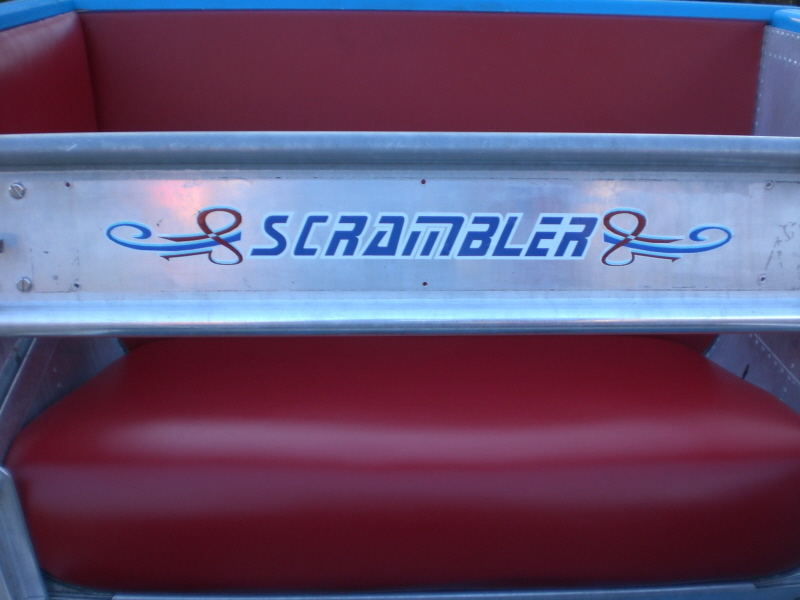 Scrambler also received a new paint scheme! 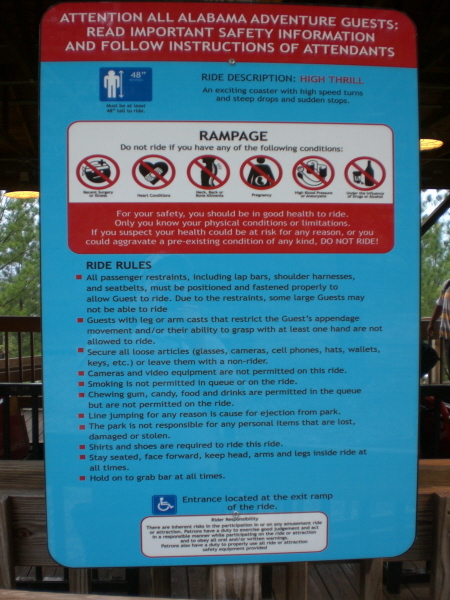 And finally, here are some of the changes at Rampage, starting with one of its new safety signs. The chasis of the red train was painted gray this year...and all lap bars were recovered with orange foam (they ere all black last year). 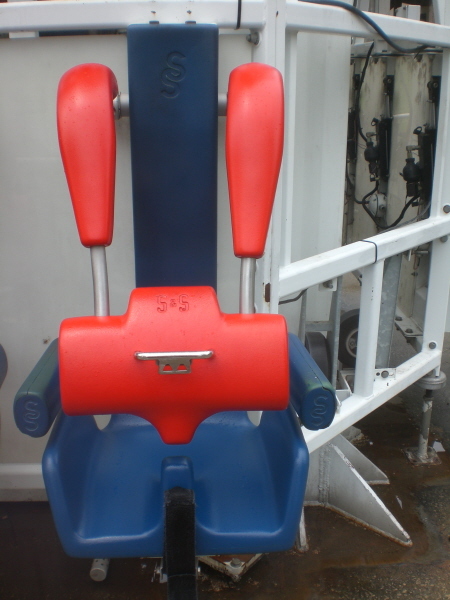 The blue train also had all of its lapbars recovered orange (last year half were black and half were orange). And yes, the park does run both trains when needed! 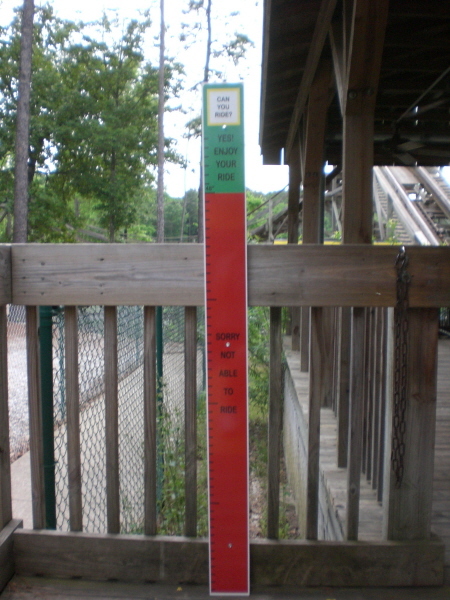 All of the rides also received new height sticks at their entrances/lines. 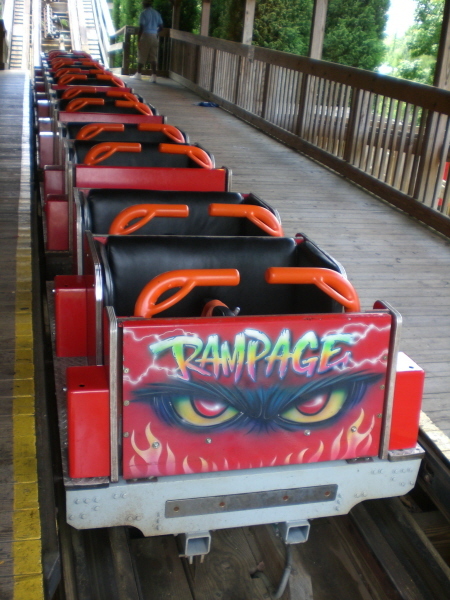 Here is the one for Rampage. If you have ever visited the park before you know there is a large rock by Marvel Mania. The story goes when they were building the park they were having lots of trouble removing it so they decided to leave it as landscaping. Well this yer the park gave it a "story" so to speak. 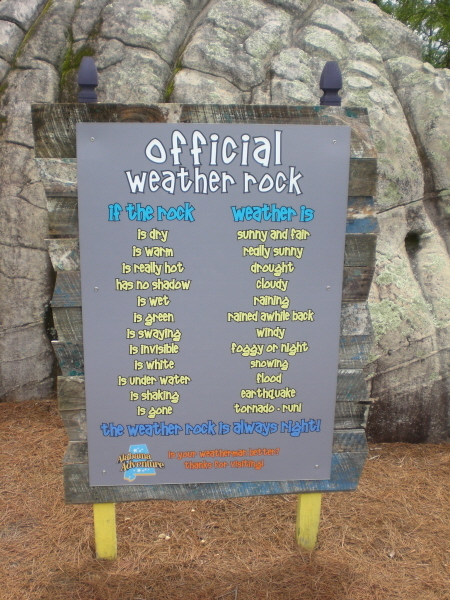 Meet the "Weather Rock." Well that does it for major updates so far. I'll post some general park photos from this year later! Thanks for reading! Last edited by larrygator on Wed Dec 07, 2011 9:19 pm. Proud Coney Island Ride-op for 6 years! 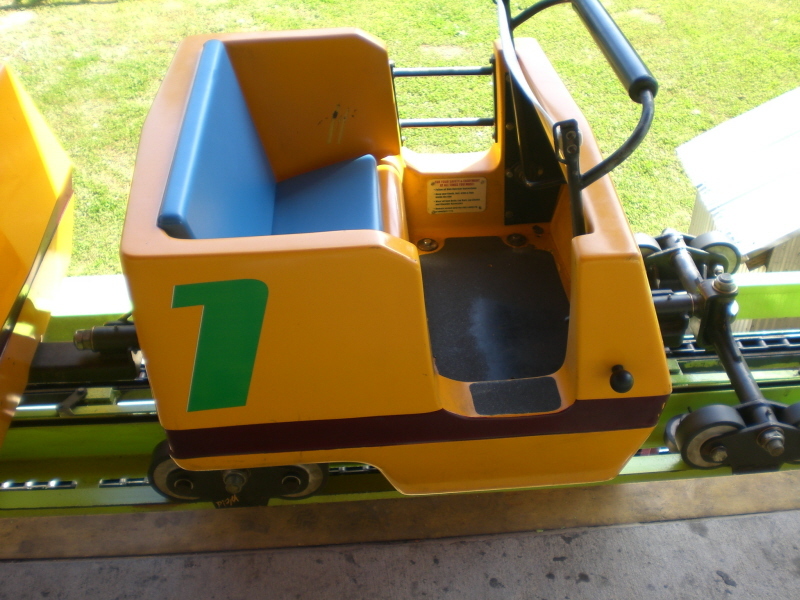 Zoomerang is now sponsored by 80s Metallica? Nice Photo TR though, been curious about this park for a while. 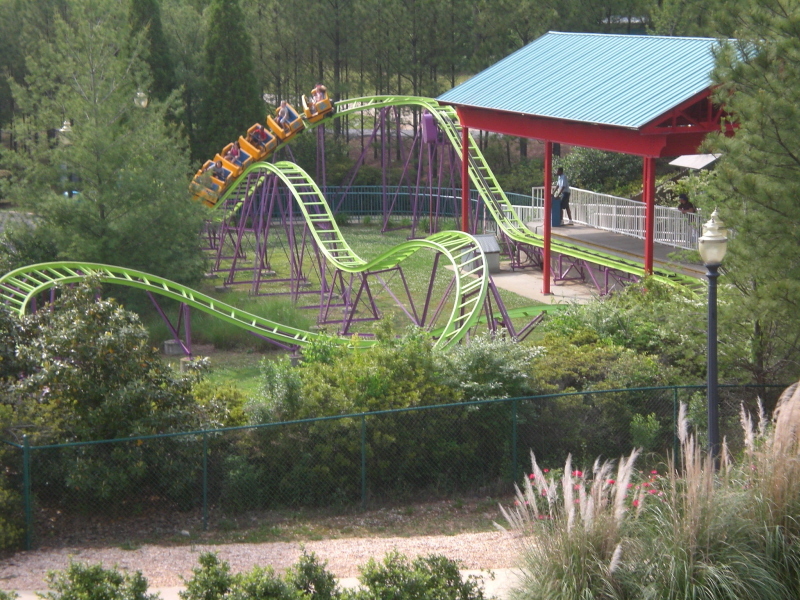 I'm glad you picked out these improvements because as a first time visitor I saw all these bold objects and got a great first impression of this park. 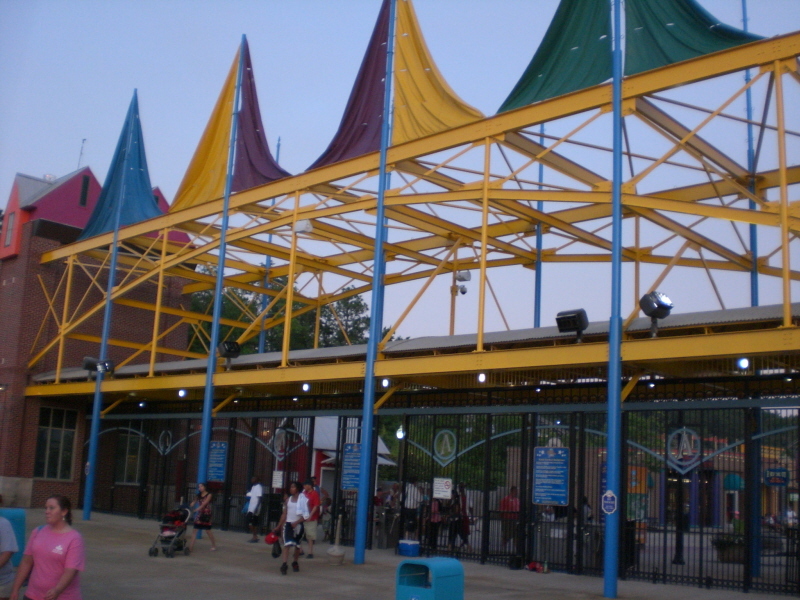 If I chose to take my first visit on say, a weekday in early July, would park operations accommodate a successful visit? 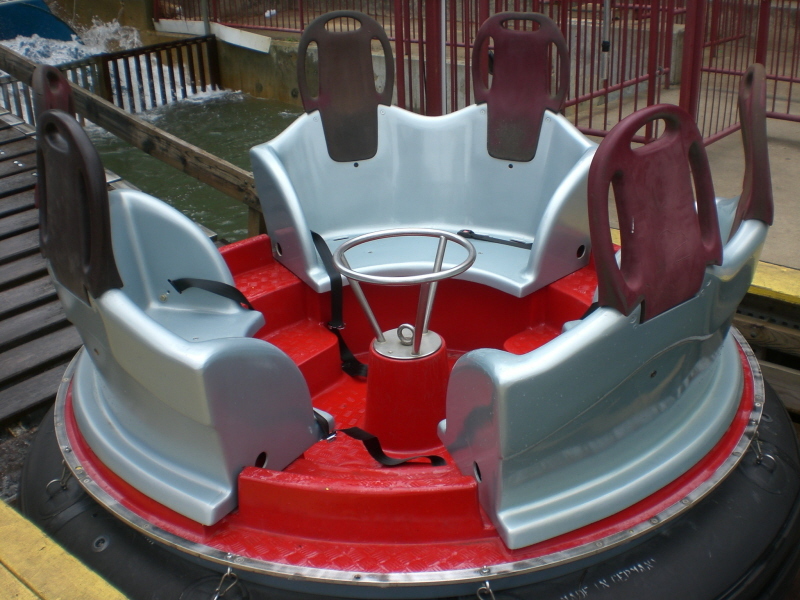 Could I get 5-10 rides on Rampage, 2 on Zoomerang, one on all the other big rides and maybe 2 rides on Upsurge? The park looks beautiful. 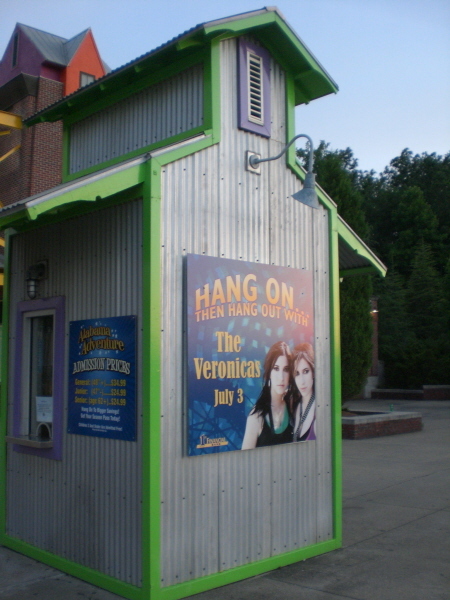 I'm guessing the drop tower is getting a new program? 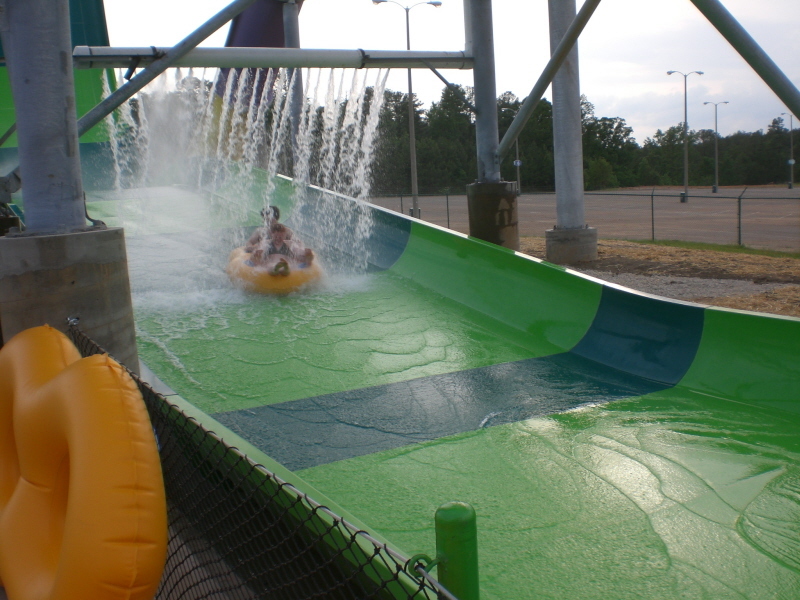 Anyway, I love what AFE is doing with Clementon Park in the North and Alabama Adventure in the south. 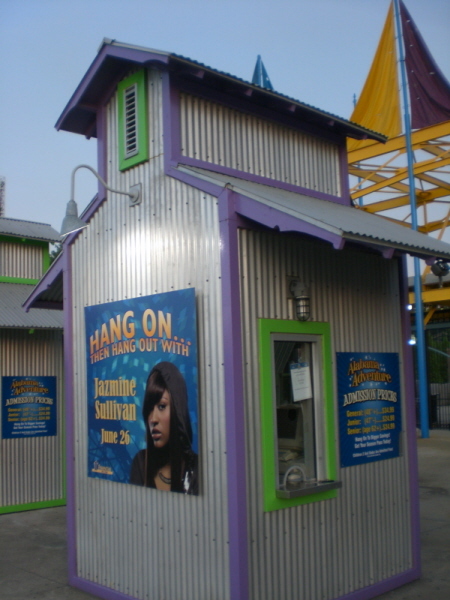 They have a smaller weather rock at Six Flags St. Louis! So corny! 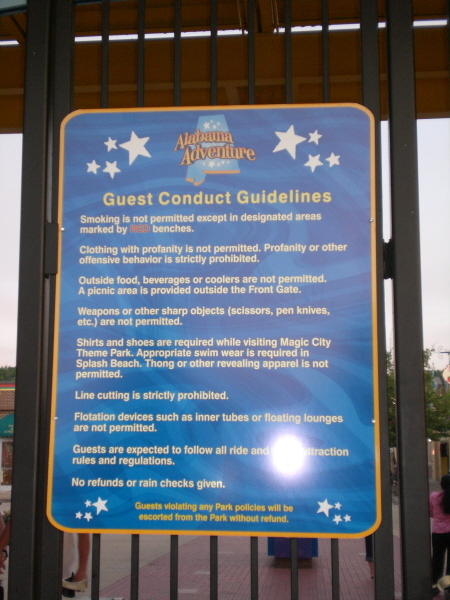 Solid Gold wrote: If I chose to take my first visit on say, a weekday in early July, would park operations accommodate a successful visit? You could easily do all that. The only "iffy" one would be UpSurge. Even on weekdays the line is usually all the way down the tower since it's the new attraction and has been really popular with guests. Glad to see all the improvements and great coverage here. 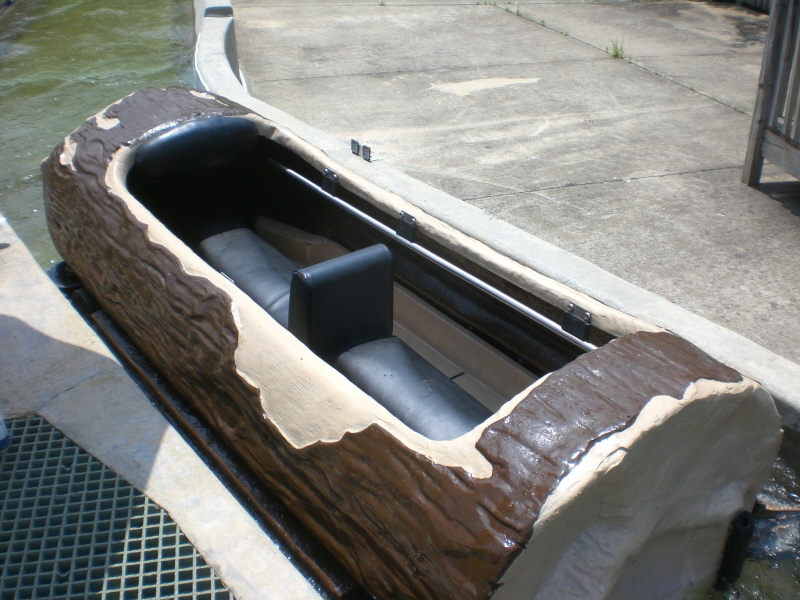 Got a kick out of the Alabama and Auburn Rapids boats, although you'd think they'd replace the headrests from where the Soul Glo people sat. Oh well, the new management is trying to brighten the place up. Kudos to them. Hope to make it down there in a few weeks to have a look. Until then, again, great job in highlighting the good things.